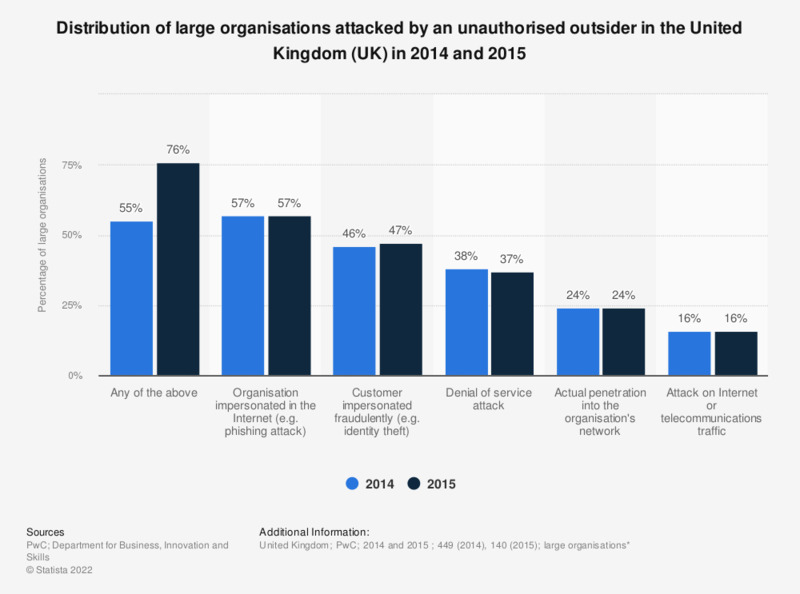 This statistic displays the distribution of large organizations attacked by an unauthorized outsider in the United Kingdom (UK) in 2014 and 2015. In 2014, it was found that 57 percent of responding organizations reported outside attack related to the impersonation of the organization on internet. * Large organisations: more than 250 employees.